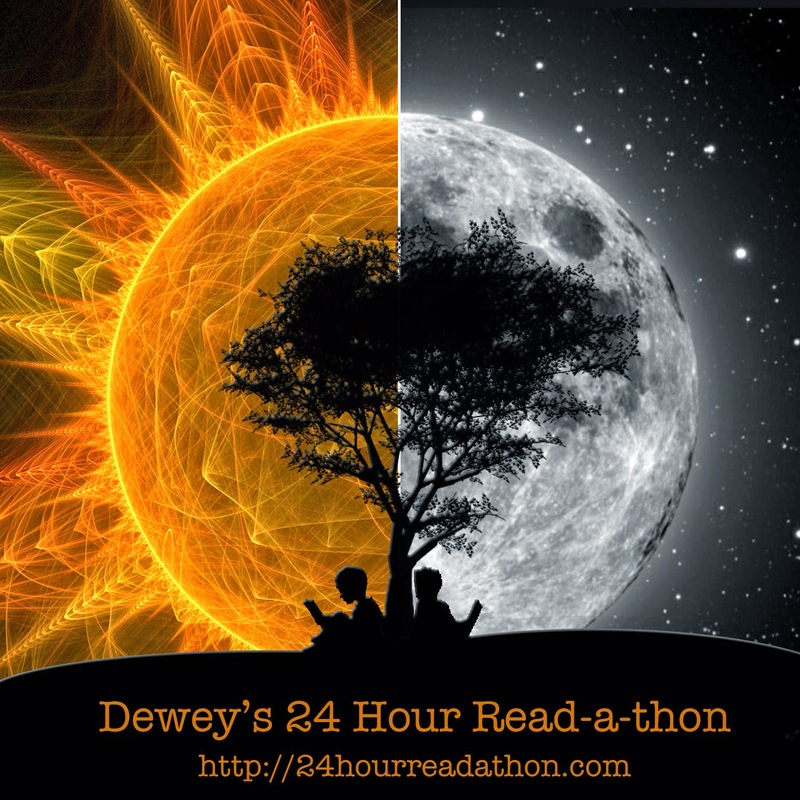 Tomorrow morning, I will be kicking off Dewey's 24 Hour Readathon, and it could not have come at a better time. Life has been so crazy since I started my new job, and my reading has taken a big hit. This weekend, I really do not have a lot scheduled and I am looking forward to spending a good chunk of my Saturday reading and relaxing. I have compiled a good pile of books to get me through the day. I will likely not be able to finish all of them, but I am hoping to at least get to a good chunk of them. 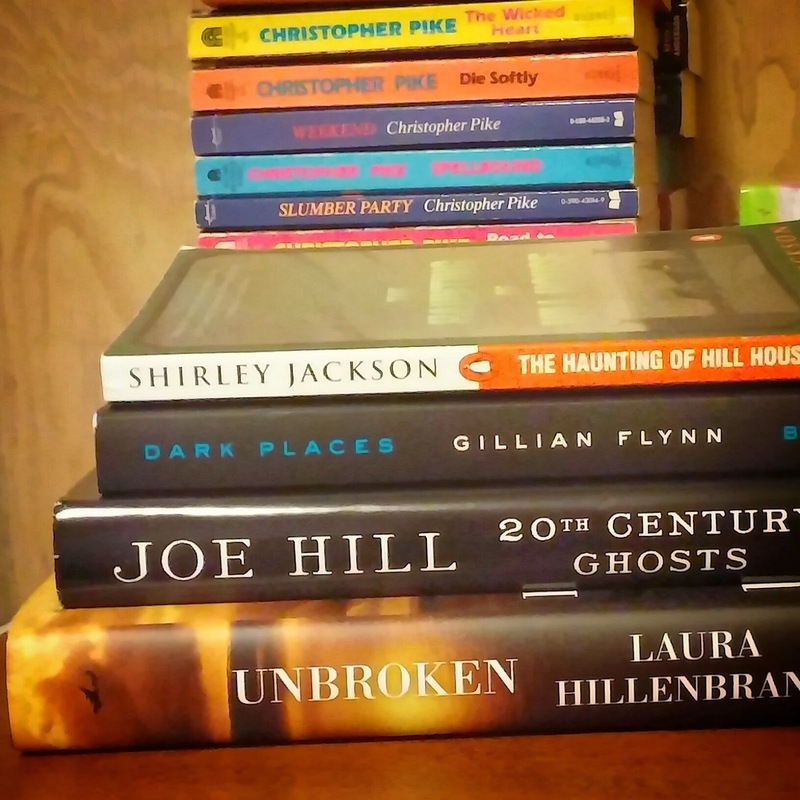 I am already about halfway through The Haunting of Hill House by Shirley Jackson, so that is the one that I will be starting with. From there, I may read a short story or two from Joe Hill's book, and then dive into one of the others. If I'm really needing some quick reads, I may dive into that huge stack of Christopher Pike books that are the extras in the back. Also, I can't forget my current audio read! I will be working on Sisterland by Curtis Sittenfeld when I need a break from the written words. I will be posting updates via Instagram, Twitter, and Tumblr throughout the readathon, so catch me there. I will post my wrap-up results in my usual weekly wrap-up on Monday. It sounds like you need the relaxing just as much as the reading! :) Have a great day and I'll see you on the social sites! Kristen M. ... I will not deny that!! Hope you are having fun!! I finished Unbroken this week. AWESOME book! Good luck with reading! No Wimpy Kids this time? I plan to read another here in a bit. Some day, I'll catch up! Suey ... I can't wait to read Unbroken. I've seen Jenni reading it too! I am actually all caught up on the Wimpy kid books (for now)!! They are great ones for the readathon, so I'm bummed I don't have more! That's quite the stack of books, Tif! All you Read-a-thoners certainly have stamina :) I'll never do these challenges though. I'm curious how you made out! writersideup.com ... I didn't get as much reading done as I had thought or hoped, but I did get in some good relaxation which was just what I needed. No complaints here. I will be posting the detailed results tomorrow in my Monday Maunder post.